Creating solid, biblical studies to go along with Sunday messages is one of the most difficult weekly tasks for most small group staff people. A lot of teaching pastors won’t have their messages ready to go until the end of the week, and that doesn’t give the writing team (usually one person) much time to go beyond putting together a few starter questions that just reinforce the message. An entire research team is needed If you want your groups to go below the surface and dig deeper into the topic. We were trying to figure out how to make this work at Cross Point when Lifeway approached us with a possible solution called Discipleship In Context. Basically, they could take our pastor’s notes on Thursday afternoon and turn it into a 4 page study – complete with extra commentary – by Friday at noon. They would also be available to make any adjustments to it if we needed something changed. 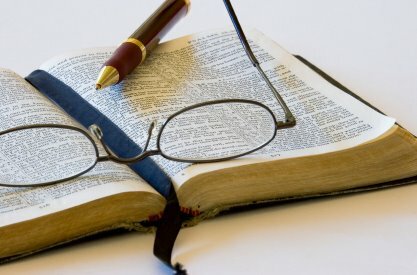 We jumped on the idea and have been taking advantage of their expert team of researchers and seminary trained writers to create great studies for us every week for the past two years. Lifeway has now taken that idea and built it into a fully customizable website. All you have to do is plug in a topic and over 1200 studies on 400 different topics are available to search and customize to your church’s look and context. If your topic doesn’t have study written for it yet, their team will write one for you for free. I have been beta testing the site for several months and I love how user-friendly it is. Almost every topic or text I have plugged into the site has returned several different studies to choose from. This tool could save you hours each week. You can try it out free for two weeks by signing up at smallgroup.com. Posted on February 2, 2015, in Uncategorized. Bookmark the permalink. 4 Comments. I’d do the same thing at half the price. I have 125+ lesson series on Amazon. My research will include great quotes from writers like Max Lucado, Swindoll and Chris Suratt! 🙂 It is expensive, but a fraction of what it costs to use their Discipleship In Context for a year. They will find out soon if it’s priced for the masses or not.